This coming Tuesday on June 7th is an important day for Californians such as myself, because it is the day that we can have a voice about who will be the next leaders of our community and even our country. For the upcoming Mayoral Primary Election in Fresno I feel that God has put it on my heart to share a personal story about one of the candidates that was a tremendous impact on Gangland Redemption Ministries. In the spring of 2012 I completed a draft of Gangland Redemption on my computer, but I was struggling with how I was going to get the Fictional Faith-Based novel published and printed. The enemy was pressing in on me trying to keep me from going forward, to the point that I was considering selling the manuscript to a movie making company in southern California where they could shelf it and do nothing with it, or even worse they could alter it in a manner that they saw fit to sell it on DVD or the big screen. My wife, Tish and I were beginning to work with youth and community outreach around that time, and we decided to attend an event called City Summit in Fresno. Now this event was structured for people like me who had a passion for trying to make a difference in their community, but knew next to nothing about how God could use us. At the end of the summit, I had an opportunity to meet H Spees. He initiated a conversation with me about what brought Tish and me to this event. I told him a little about myself and shared that I wrote a manuscript for a book I titled Gangland Redemption, and I believed the LORD was calling me to share it with youth for gang prevention and intervention in at-risk communities. H seemed to understand my vision clearly, pulled out his wallet and handed me a $20 bill as he told me, “I would like to buy a copy of your book.” Immediately my wife told him that we hadn’t even decided on a publisher yet, and that we couldn’t take his money. I could see in H’s eyes that he wasn’t going to take his money back, so I told my wife, “We aren’t going to rob this man of an opportunity to bless us,” and I thanked H.
Eight months later, Tish and I received the first shipment of copies of Gangland Redemption. The first copy was pulled aside, signed and delivered to H’s Office. 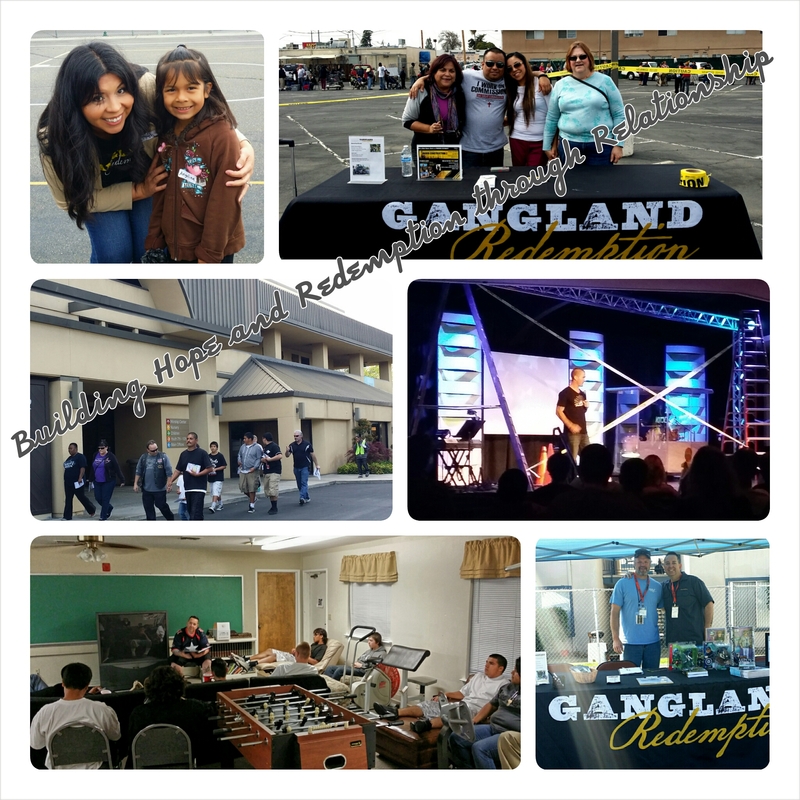 Today, the non-profit ministry of Gangland Redemption has reached the lives of almost 10,000 people in one form or another. 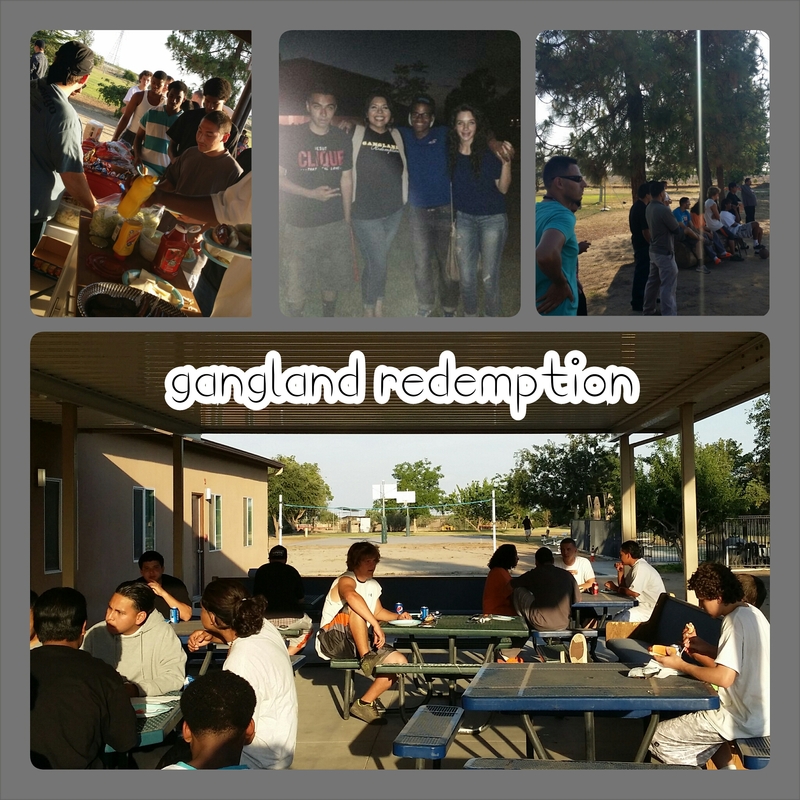 We have impacted lives through our Gangland Projects at the Valley Teen Ranch, Fresno Rescue Mission, Holy Cross Summer Enrichment Program, Fresno First Baptist Youth Program and the Valley Dream Center. We co-hosted three free Under Construction events with the Valley Christian Center, which featured Oakland Raiders Quarterback Derek Carr and a mini-football camp at the last one. 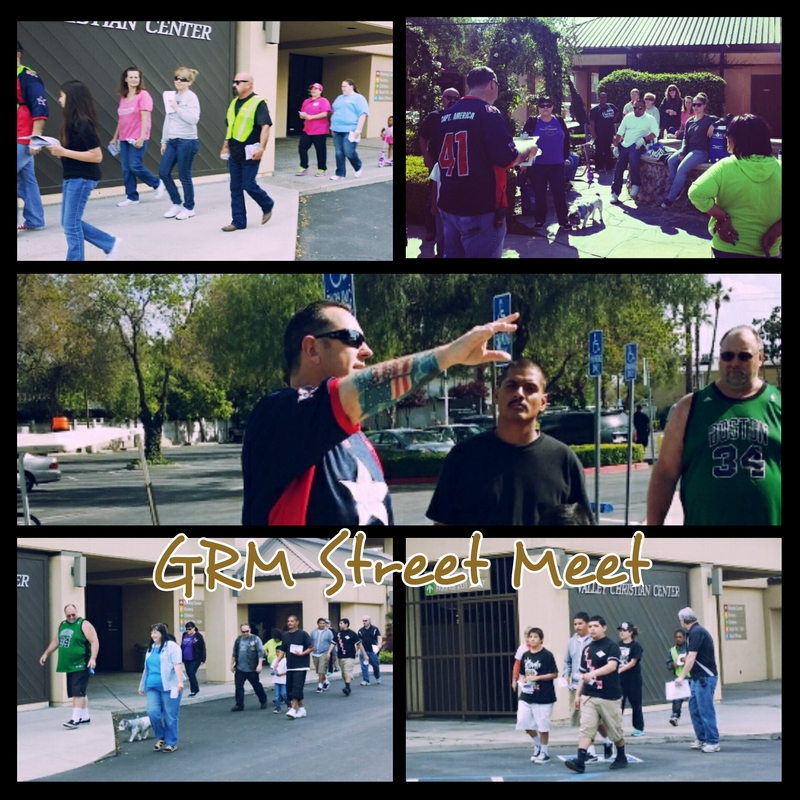 We partnered with the Valley Dream Center to help launch our area’s first Adopt-A-Block in which we gather church volunteers and other resources to help one specific neighborhood in need with bike repair, laundry of love (surprising folks at a local laundry mat paying for their cleaning needs with quarters, soap and dryer sheets) and community cleanups in the neighborhood. Not to mention the countless field trips to places like Yosemite and Moro Bay with kids that have never been to the mountains our swam in the ocean. We also took in professional sporting events to watch our local Grizzly’s, Oakland A’s and San Jose Sabercats games with kids who had never experienced a live professional sporting event before. I do not boast of the three years of successes of Gangland Redemption to express how great we are. Rather, I share those successes with you, because it would have been a shame if I had given up on publishing Gangland Redemption and sold it to someone that would have placed it on a shelf and done nothing with it. Only God knows what would have happened if my first encounter with H played out in any other way, but what I can say with certainty is that H showed me what he’s about when he handed an unpublished writer a $20 bill for the purchase of a book that wasn’t in print yet. I am confident that H’s ability to not only lead, but also build up other leaders is exactly what the community of Fresno needs right now. H has a heart for this community and I believe that he will not only make a successful Mayor for our city, but he will put our community in a position that will make it easy for him to pass the baton when his duty as Mayor is complete, and that is how Fresno will see long term sustainable change. If you know me well enough or follow me on Facebook, then you know that I seldom take the opportunity to voice one way or the other about whom I believe would be the best-suited candidate for any office. Today however, I am going to make an exception to that rule, because the LORD has put it on my heart to share a personal story about a man that I believe would be the best possible candidate for Mayor of Fresno regardless of who would have been running against him. On Tuesday I will vote for H.
This Tuesday please pray for our country and if you live in California, don’t forget to vote. God Bless and God Speed!